On Sunday, March 27 2011 Alfred Raab was leading a group of 15 local and visiting birders up to the higher elevations of Altos del María. 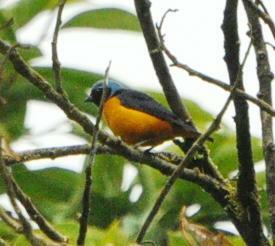 At 1000 m elevation we saw a male Elegant Euphonia. 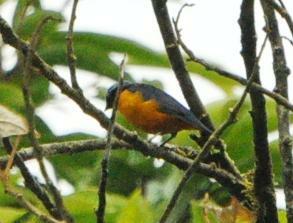 We also saw 2 Barred Forest-Falcons and a male Purple-throated Mountain-Gem.